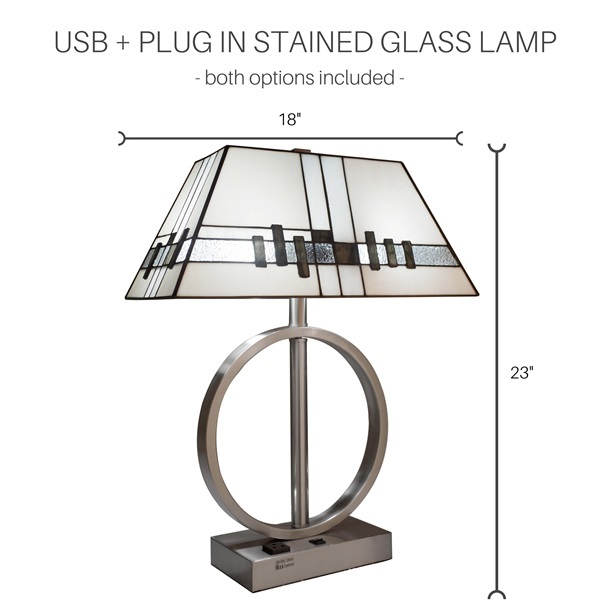 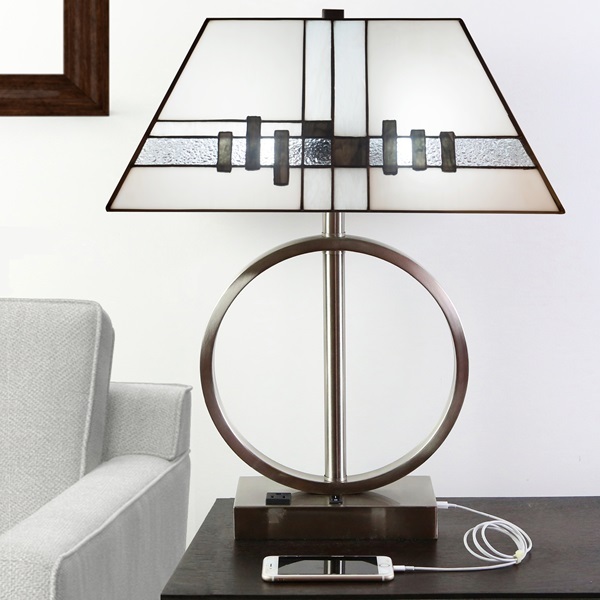 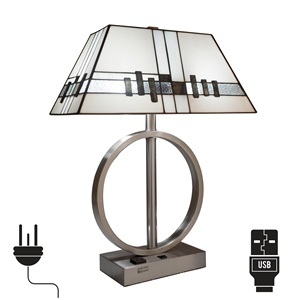 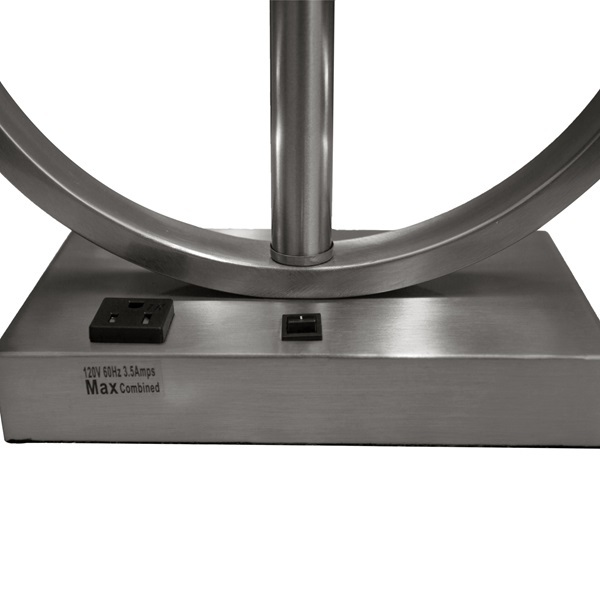 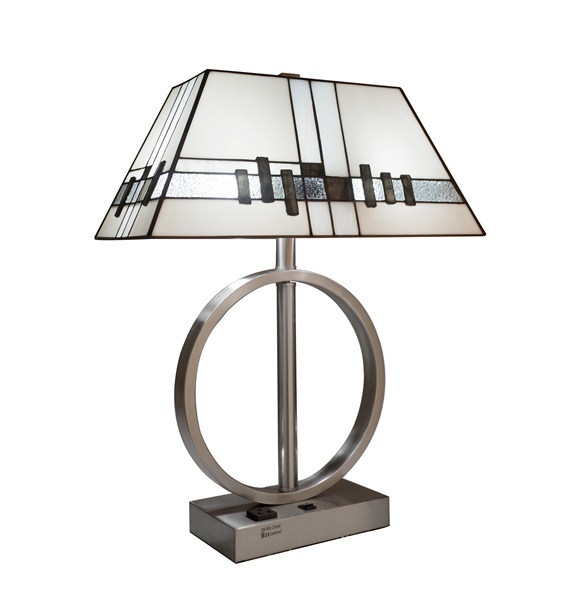 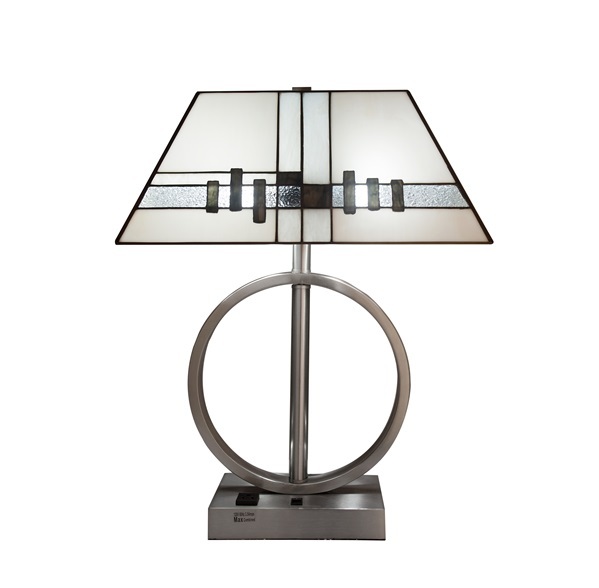 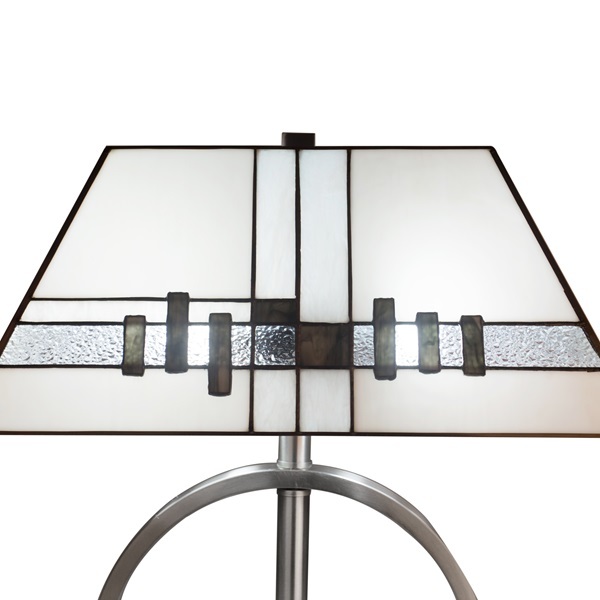 Illuminate your work space or side table with this Modern Mission Style 23" Table Lamp. 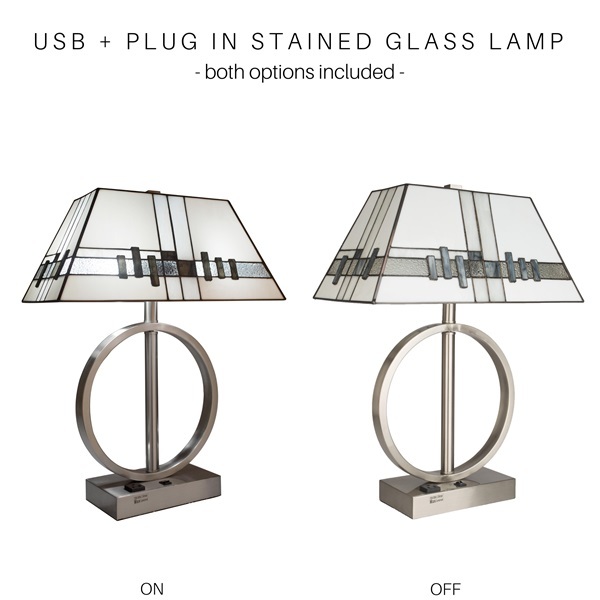 Hand cut glass, designed with white, cream, brown with brushed nickel base allows for a modern look when lit with a cool bulb, or a warmer cozy look when lit with a warmer bulb. 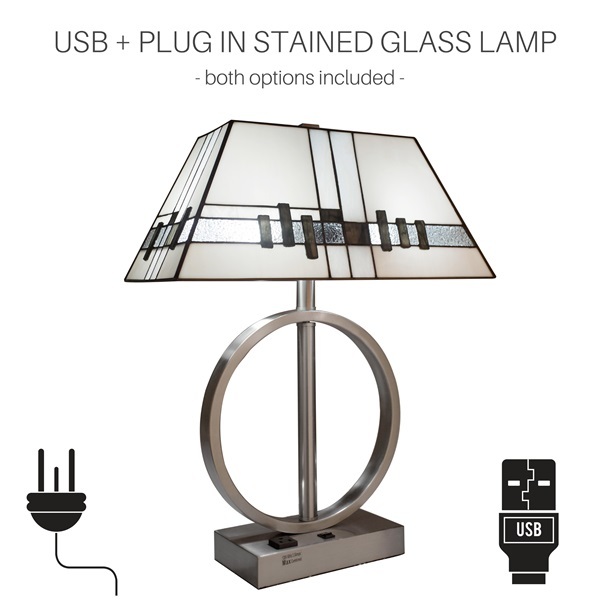 Operated by a simple on/off switch, this fixture accommodates two (2), 60W bulb (not included), while the square base includes a built-in USB port and electrical outlet so you can keep your devices charged and connected.